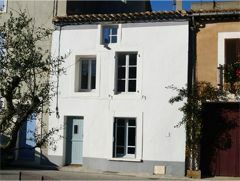 This beautiful town house is perfectly located right in the centre of Olonzac, the capital of the Minervois wine growing region. Ideal for couples. Within a minute's walk, you will be able to soak up the atmosphere of this charming town. Delightful, attractive 18th century town house with private roof terrace in the centre of Olonzac - fully renovated with exceptional taste! Well equipped kitchen and dining area! Wood-burning stove! 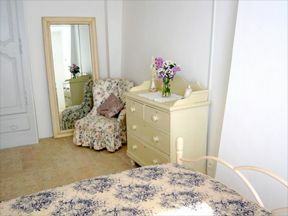 Ideal for adult couples, sleeps 2. open all year round! 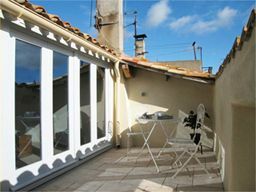 This beautiful town house is perfectly located right in the centre of Olonzac, the ‘capital’ of the Minervois wine growing region. Within a minute’s walk, you will be able to soak up the atmosphere of this charming town. Whether you wish to mingle with the locals at the market, which is one of the best in the area, go shopping, enjoy a fine meal at one of the many nearby restaurants or simply relax over a cup of coffee or glass of wine, Olonzac has all you could wish for a memorable French holiday! This one bedroom property has been extensively renovated and decorated with style in mind, whilst retaining its authentic charm. 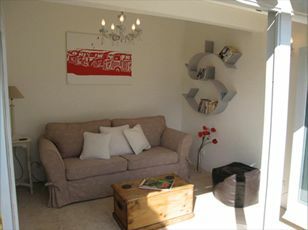 The house has a wonderful light and relaxing feel to it and has been furnished to a standard seen usually in far more expensive properties. Inside the house you will be greeted by a brand new kitchen and dining area with wood-burning stove on the ground floor. 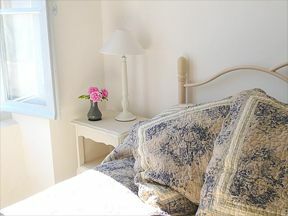 Moving upstairs there is a double bedroom and a shower room on the 1st floor; and on the 2nd floor you will find a sitting room, beyond which you will be able to sit out on the charming private roof terrace and enjoy a glass of wine on a mild French evening. This lovely self-catering villa is located in Olonzac, having all a small town could wish for including bakers, butchers, a supermarket, a bank and a post office as well as several restaurants and cafe-bars. It is a thriving, authentic French town. Contact Lucy Freeman for Enquiries and Availability.